The Edinboro women’s basketball team was picked to finish first while the men were picked seventh in the PSAC preseason poll announced Oct. 25. The women are led this season by Callie Wheeler after Stan Swank retired following his 31st year at the helm of the women’s program. Wheeler had been an assistant coach for the team for the last 11 seasons. Chris Bess moved from the assistant coach of the men’s team to the same position on the women’s side. The squad features four seniors and a graduate student, three of which saw regular playing time last season. Michelle Jahn said Wheeler has set a good tone heading into the season. Jontay Walton, the lone graduate student, said the new coaching staff has put them through intense practices heading into Wheeler and Bess’ first season together. 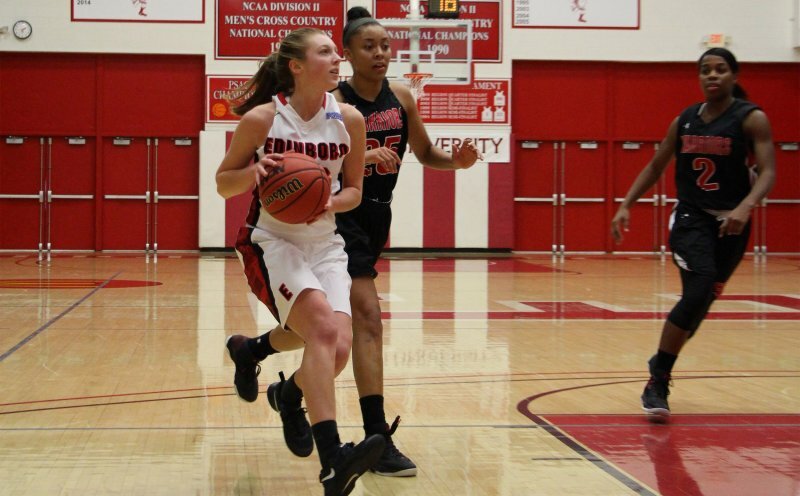 “This preseason has been one of the best preseasons that Edinboro women’s basketball has had in awhile, so we’re definitely prepared for the season,” Walton said. While a regime change can be tough on team chemistry, it hasn’t seemed to affect the Fighting Scots. Junior Michaela Barnes said the team has fallen in with Bess as smoothly as they did with Wheeler. The men this year have a new look from top to bottom, as they enter this season without Jaymon Mason and Keshawn Liggins, among others, and with a new assistant coach. Chivas Whipple joins the program this year following a four-year stint at Westminster College. The team also welcomed their youngest fan, as Head Men’s Basketball Coach Pat Cleary’s wife, Anne, gave birth to their first child the morning of Oct. 25 (a girl). Anne Cleary is also the director of cross country operations and head track and field coach at Edinboro. Cleary said he believes the rankings were based on who the team lost and brought in, and that other teams brought in strong freshmen classes. Edinboro brought in two freshmen this year, including Cambridge Springs product Turner Kurt, who was a two-time regional player of the year and who earned all-state honors in both basketball and volleyball.